NASA announced yesterday that it will terraform a part of the moon to create an oasis for robots (and eventually, humans.) 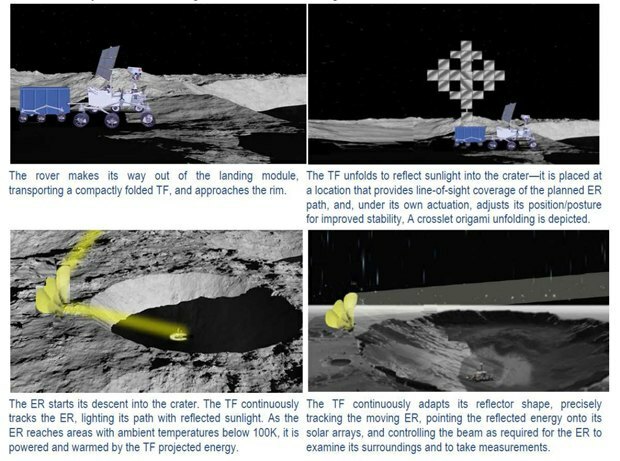 Transforming robots with reflectors will roam around the edge of Shackelton Crater, located on the moon's south pole and covering about 130 square miles. These robots will reflect sun into the crater, warming it to degrees tolerable by a fleet of rover robots and providing them with solar energy they need to operate. The bots inside the crater will build an oasis for lunar robots.